Welcome to the home of Rightline Gear® Car Top Carrier Bags, Truck & SUV Tents, and Jeep Products. Where fun, comfort and freedom are always the rule! 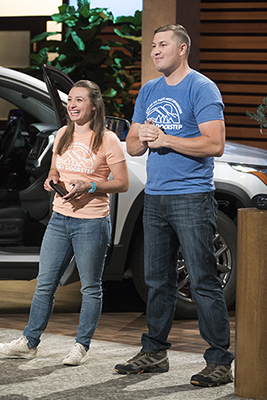 Did you catch the Rightline Gear Moki Door Step debut on Shark Tank last Sunday (January 6th)? If not, you can stream the episode here using your network provider. You can watch the original inventor of the Moki Door Step (Firefighter Zach Brown) pitch the Sharks. After a successful Kickstarter campaign, Zach decided to partner with Rightline Gear to bring the Door Step to national retail. Rightline Gear built upon Zach’s initial design to create the Rightline Gear Moki Door Step. Zach and his wife Alyssa were the first into the Tank! Check out Lori Greiner giving the Door Step a try! A cargo bag for every vehicle, WITH or WITHOUT a roof rack! Rightline Gear’s specialty is getting your extra gear on your vehicle. We want your road trip to be a great experience and we pride ourselves on our unique and innovative product designs. Case in point, see our Sport Car Top Carriers. These aerodynamic carriers are designed to be 100% waterproof in the car top luggage carrier application and feature the ZipRight System, a urethane coated zipper located in the protective flap of the carrier. The carrier’s seams are constructed with Dual Seam Technology, sewn for strength and then welded waterproof. Sleep comfortable and dry on your next camping trip! Rightline Gear’s Truck and SUV Tents allow you to experience camping wherever your vehicle can take you. A truck bed tent installs over the bed of the pickup truck to create an instant camper for a fraction of the cost. 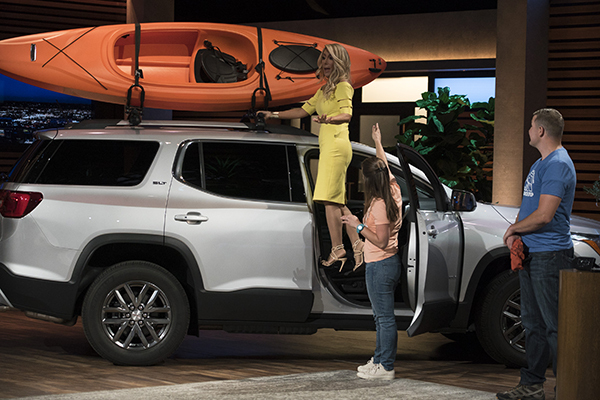 SUV Tents have a sleeve that surrounds the rear hatch of the vehicle. Don’t forget to add a Pop Up Tent as an easy way to sleep two adults or as many kids that want to fit inside. Rightline Gear produces tents for trucks that will redefine camping for years to come. Check out Rightline Gear’s Jeep Storage Bags! Rightline Gear has weatherproof storage bags for your Jeep Wrangler’s unused space! Choose the Trunk Storage Bag , Side Storage Bag, or Roll Bar Storage Bag to take along all the gear that you need. The Storage Bags can hold personal items, trail gear; you name it. Handles and/or shoulder straps are included for grab-n-go convenience. Don’t forget our 4x4 Duffle Bags which let you carry extra gear in multiple locations on the Jeep and our Soft Top Window Storage Bags which are designed to hold your soft top windows. Get your Jeep Storage Bags and hit the road or trail today! Our Blog is the best place to get helpful product news, tips and advice. Got a truck load you need to secure and keep dry? Then check out the new Weatherproof Cargo Net!. Combining two products into one, the innovative Weatherproof Cargo Net features a bungee-style cargo net attached to a tough lightweight tarp. No more wrestling with tangled bungees or bulky landscape tarps! Available April 2018. Check out our Truck Bed Air Mattress! We have now made the Truck Tent camping experience complete with our the Truck Bed Air Mattresses! Engineered for comfort and designed to allow plenty of gear storage between the mattress and the bed walls. These mattresses are tough enough for your truck! The Rightline Gear 2-color Fox Logo die-cut decal is now available. Contact us today to get yours.